If all you need are those five words to remember the Beach Boys Honda song, you are in the right place at the right time. 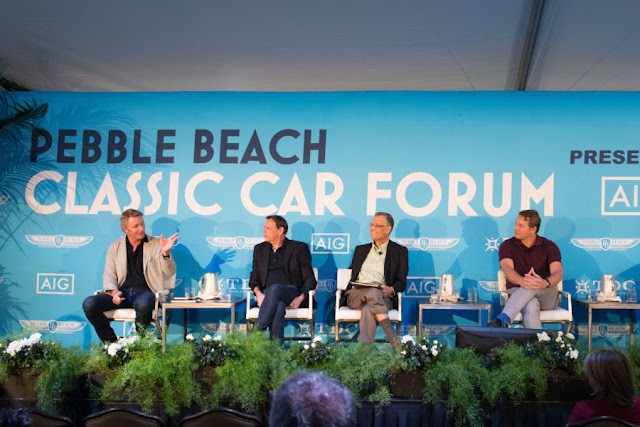 Sure it's exceptional The National Collector Car Appreciation Day has grown so significantly, now heading into its sixth year, but after seeing this video from Jay Leno's Garage, I was reminded of all of the other types of Classics on the road today. We've got cars, like the ones featured in The World Tour (visit the archive for links), trucks like Bob Johnson's '56 Ford flatbed, buses like the ones Georges Carbon restores, the GM Futureliner and, last but not least, motorcycles. Classics of all types have an enormous following almost everywhere in the world. Why not celebrate them all? The video reminded me of how much I enjoyed the sound and inherent performance of the 750. 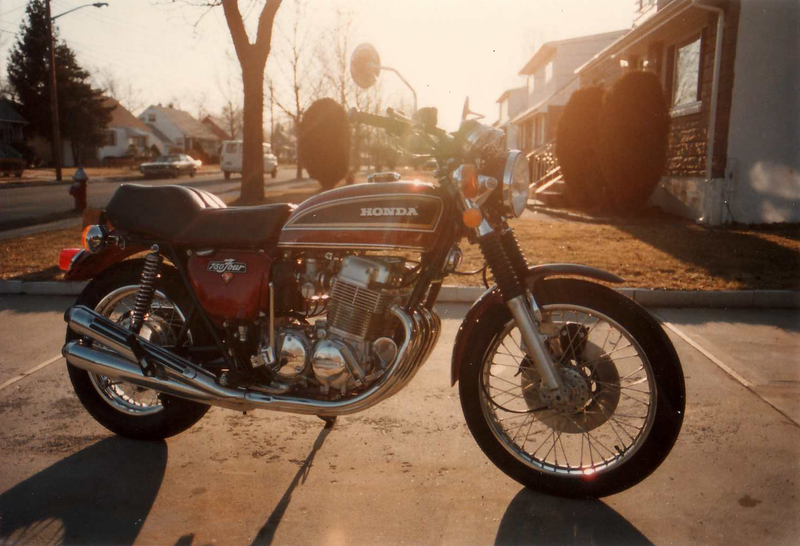 It also reminded me of efforts modifying my own 1976 CB750, long before the "cafe look" became a hot ticket. 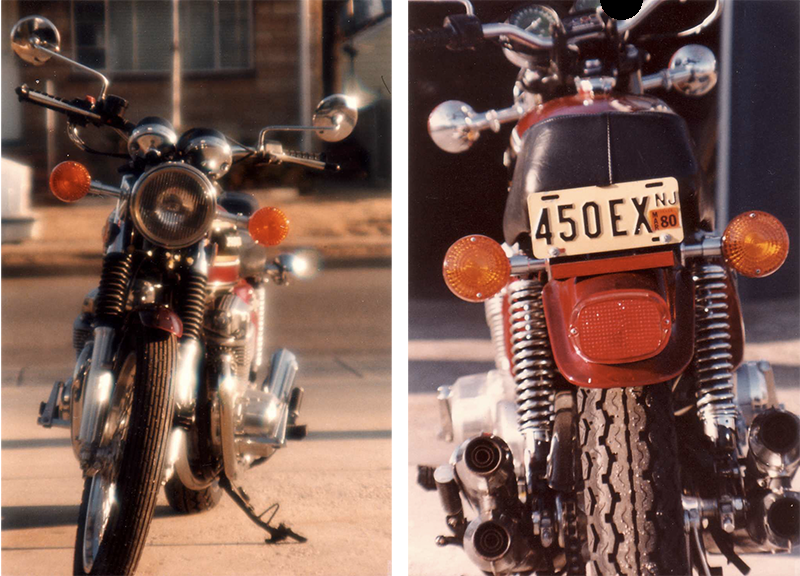 At the time, I was looked at like some kind of "loon", as the mainstream mindset was to go for an "Easy Rider" chopper look. I got the idea from an article in a motorcycle magazine. 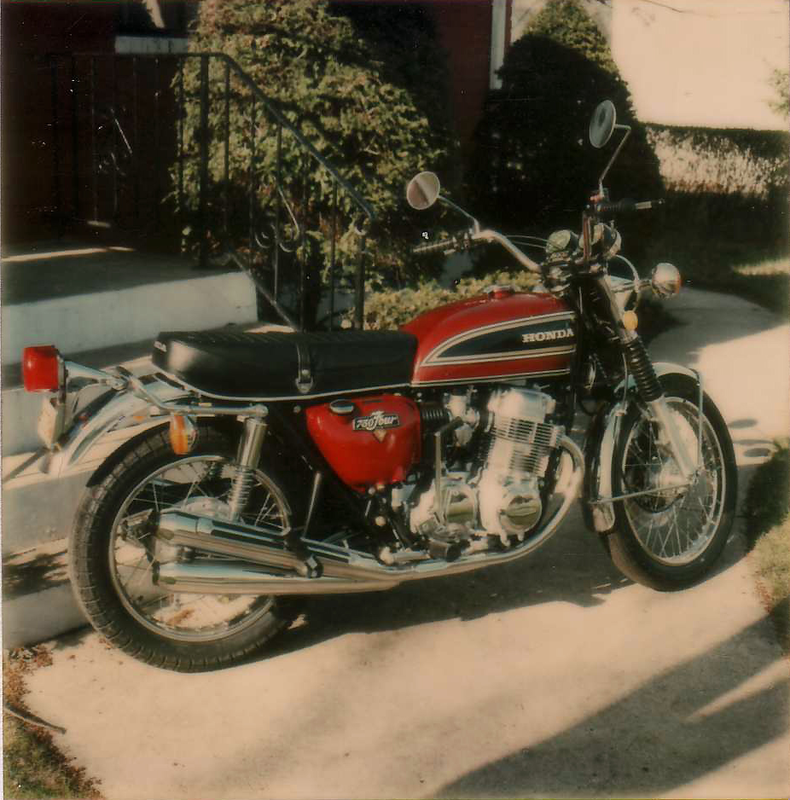 I distinctly remember the author saying the stock CB 750 looked like a refrigerator from the '50's. Too much chrome, gawking extensions and a rear tire befitting a much lesser bike. I never coined the look in that way, but I had to agree. The article listed all of the aftermarket and OEM Honda items with part numbers and sources. It didn't look terribly intimidating, so I forged ahead. Note to all: It really was intimidating. It was the first time I had done anything like this. These modifications would probably be easy for a modern bike shop to do and in a couple of days, but keep in mind, I had no "shop". I did all the work in my father's 1-car garage using simple hand tools...in 1977. My work bench was a folding card table and my "paint shop" was a couple of strings I nailed into the rafters. I can't really recall what I jury-rigged to allow me to hammer the front fender rivets in place, but I got past that issue as well. ORDERING PARTS AND "THE TRANSFORMATION"
The handlebars were from a pint-sized Honda 3-wheel ATV. The rear "duck-bill" fender was from a 2-wheel dirt bike. The front fender was off of another Honda trail bike model. The taillight is straight off a Sportster and the seat aftermarket. Everything, but the seat, had to be modified to fit, starting with the front fender. The mounting bracket from the stock front fender had to be removed and reinstalled on the new fender using factory rivets. It also required cutting the new fender to clear the fork. I remain unsure if I ever fitted the new fender as intended or if the resulting gap was "as good as it will get". The rear fender took a lot of finesse, manually reshaping it just a hair to widen it, positioning drilled holes for mounting, the new taillight and chopping off an unneeded extension. The rear turn signals took a fair amount of "courage". The objective was to tap threads onto an extension normally used as more of a spacer, allowing the removal of the passenger grab bar and to tuck in the signals. The rear view mirrors were "customized" by bending the stalks to lower them from their normal periscope position. I replaced the standard sealed bean headlamp with a Cibe unit that was originally meant to be installed on a car as a pair. Adding a rear wheel from the Goldwing and an aggressive Dunlop tire really improved the looks, although I had the wheel restrung at a local shop. Final steps were to take everything apart, paint, complete the final reassembly and add the highway pegs as my own personal touch.